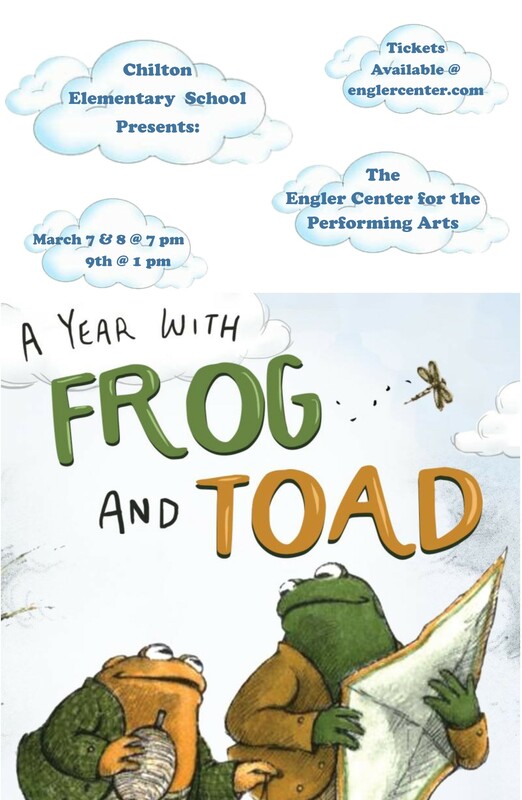 The CES Musical, Frog and Toad, will take place at the Engler Center for the Performing Arts on March 7th & 8th at 7pm and on March 9th at 1pm. Tickets available at englercenter.com. See attached poster. Please find attached the March edition of Building Readers. Registration is now open for 3 year old Kindergarten (3K)(new for the 2019-2020 School Year!) and 4 year old Kindergarten (4K) at Chilton Public School. See the attached document for more information on the registration process and the new wrap around care program. Please find attached the February edition of Building Readers. Please find attached Mr. Rosenau's January newletter.